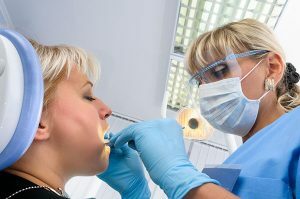 Oral sedation is one of the most popular methods used in dentistry to ease the fears patients have when visiting their dentist. People certainly get anxious before a visit as they mentally picture the examination, the drill, and needles. At Cardiff Dental, we can prescribe an oral sedative if you don’t elect to use inhalation sedation (laughing gas) for your dental treatment. Though oral sedatives contain both agents, the levels will differ based on how it is administered. Oral Sedation can range from light to moderate. Your dentist will decide what type of medication and dosage is suitable for your situation. Don’t put off your dental care because of fear and anxiety. If you are not comfortable with dental appointments and treatments, you can talk with your dentists at Cardiff Dental, and we will be more than happy to make your experience as relaxing and stress-free as possible. For more information about our conscious sedation options, contact us on (02) 4954 6888 today!